I've had a pretty low key weekend (very unlike me) as wasn't feeling 100% so I decided to rummage through some hand-me-downs from mum and low and behold discovered these gems! A little bit in love with what I'm now calling the snake charmer, fits perfectly around my wrist as if it always belonged there, and the other my emerald gem is a beautiful colour. I expect you'll see these in many a future outfit posts... thanks maman! Another thing you'll have noticed in the snaps above are that my nails look a little bit crazy. 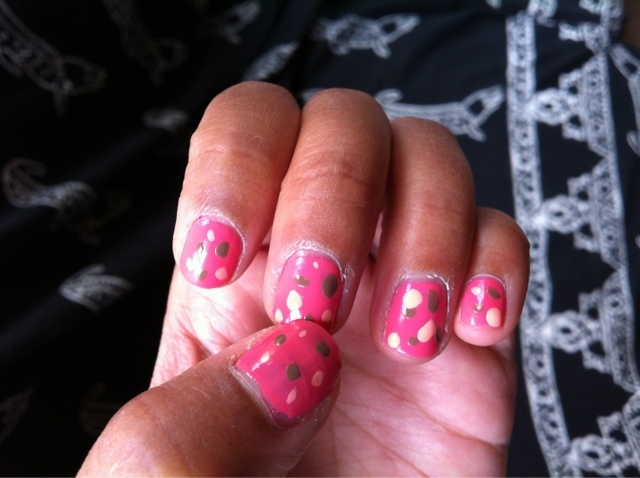 Had some fun building a dotty look for a pop-up theatre "join the dots" detective adventure in Covent Garden on Project X hosted at the London Transport museum. Nothing like spending a Sunday afternoon solving a mystery in style!